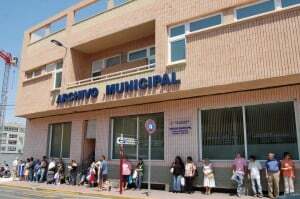 TORREVIEJA’S status as the Valencian Community’s fifth largest city received a further boost in January 2012, as within the last 12 months the city’s population has grown by 1,730, to a new high of 105,270 registered inhabitants. As has been the case for almost two decades, United Kingdom citizens are the largest International group, with 13,185 registered inhabitants, followed by the Germans 4,032, Russians 4,013 and Swedish with 3,107, who top the list of foreign countries in the census of Torrevieja. In January 2011 the number of citizens was 103,540 inhabitants. According to the statistics of population and development of the Municipal Register of the City, the city of Torrevieja started 2012 with a total of 105,270 registered inhabitants, of which 53’1% are citizens of foreign origin (55,911 inhabitants), while 46’9% (49,359 inhabitants) are Spanish. It’s close in the battle of the sexes with the men coming out just on top with 50’6% (53,271) and 49’4% for the ladies (51,999). The data cements the city of Torrevieja as one of the most important in the region, and as the third city in terms of population of the province of Alicante and in Valencia fifth, just behind the three provincial capitals, Valencia, Alicante and Castellón and then Elche. Torrevieja surpassed the 100,000 mark back in July 2007 and despite a cool down in house sales over the past three years, the last five years have accounted for growth of 5,270 people. Regarding the residents registered in the city of Torrevieja, those of international origin coming after United Kingdom, Germany, Russia and Sweden are Morocco (3,063), Bulgaria (2,576), Romania (2,503), Norway (2,376), Ukraine (2,162), Belgium (1,542), Colombia (1,452), Finland (1,343), Italy (1,182), Ireland (1,047), Ecuador (909), China (846), Lithuania (735), Brazil (652), Poland (642), Netherlands (635), Argentina (631) and France (604). The City of Salt remains as one of the most multicultural in Spain and percentage wise, on the municipal electoral role, third in terms of foreign residents who are eligible to vote after Madrid and Barcelona. There are 121 countries represented on the Municipal Register of Torrevieja, no change from 2011, including citizens of Cuba, India, Switzerland, Hungary, Belarus, Algeria, Senegal, Denmark, Paraguay, Nigeria, Peru, Austria, Bolivia, Pakistan, United States North America, Cape Verde, Mexico, Guinea, Egypt, Nepal, Philippines, Honduras, Israel, Bangladesh, Thailand, Costa Rica, Australia, Japan, South Africa, New Zealand, Jordan, Mauritius, Mozambique, Guatemala, Cyprus, Malta, Iraq, Belize, Kenya, Vietnam, Sri-Lanka, Malaysia, Haiti, United Arab Emirates, Gabon, Sierra Leone, Sudan, Slovenia, Macedonia, Kyrgyzstan, Uzbekistan, Azerbaijan and Kazakhstan. The population statistics reflect an increase in the number of European Union citizens who have decided to take up residence in Torrevieja, mainly citizens of the United Kingdom, Russia, Germany and Scandinavian countries, specifically from Sweden and Norway. The data also notes that since the year 2008 there is a slight decrease in registered voters of Hispanic origin, mainly from Colombia, Ecuador, Bolivia, Argentina, Peru and Chile. Of the 49,359 Spanish citizens who are registered in the city, all the provinces of Spain are represented, with those born in the province of Alicante the most numerous (21,819 inhabitants), followed by residents of the Community of Madrid (6,953) Community of Murcia (2,391), Vizcaya (1,129), Asturias (1,079), Leon (805), Valladolid (732), Jaén (723), Ciudad Real (707), Barcelona (587), Badajoz (583), Guipúzcoa (571), Albacete (568), Toledo (537), Valencia (519), Salamanca (506) Caceres (489) and Burgos (493). 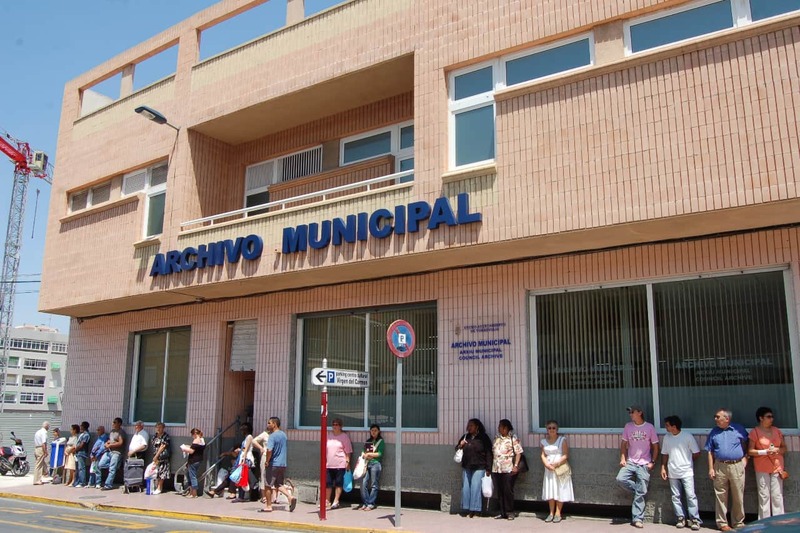 For its part, the provinces with the lowest representation in the Municipal Register of Torrevieja are, in this order: Huesca, Lleida, Teruel, Tarragona, Girona, Las Palmas, Ceuta Castellon, Santa Cruz de Tenerife and Huelva. 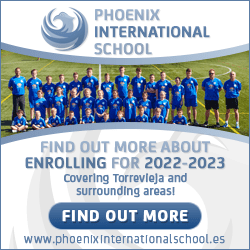 In terms of population by age, Torrevieja has 4,077 children under the age of five, 8,747 people aged 6 to 15 years; 15,574 citizens aged between 16 and 30 years; 50,160 people aged between 31 and 64; 15,946 people aged 65 to 74 years; 10,191 people aged 75 to 90 years; while there are 575 Inhabitants, 227 men and 348 women, who have reached and passed the grand old age of 91 years and another 21, 7 men and 14 women who exceed 99 years of age. Looking back at the growth of Torrevieja, in 1897 just 7,833 people lived in what was a small fishing village, growing to 8,961 in 1910. In 1930 it stood at 8,754, with less than 200 more inhabitants by 1950 with 8,935, 1960 with 9,234 and 1970 a steady 9,726. After Franco’s death in 1975 this increase speeded up. In 1980 the town still only had 12,314 on the padrón before the real growth took place but by 1990 the city had a municipal census of 23,192 residents and then 50,189 inhabitants registered a decade later, in 2000. This large increase in population in the 90s continued into the first decade of the century, confirming that the city of Torrevieja is one of the cities of Spain with the highest population growth since 2000. Email Keith Nicol for further information or reproduction rights.